“I just like to smile, smiling’s my favorite!” We love how happy-go-lucky pugs are, and they definitely make us happy too. 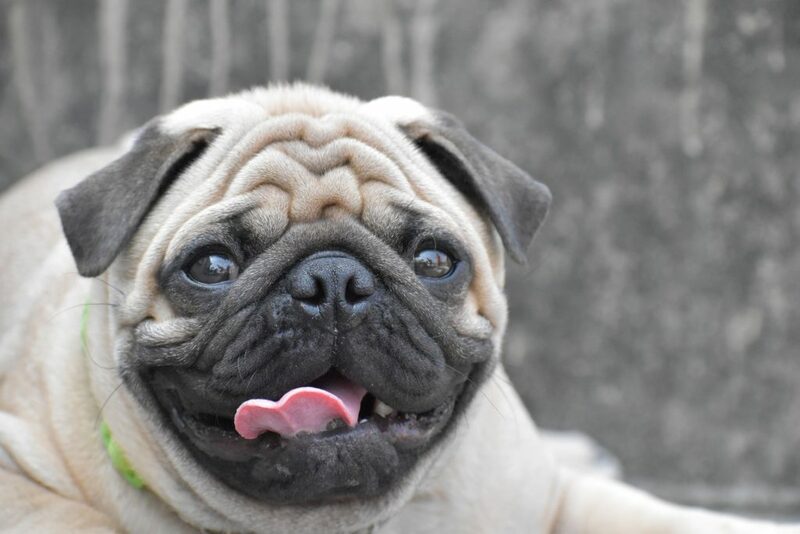 Smiles are contagious, especially when they are pug smiles! 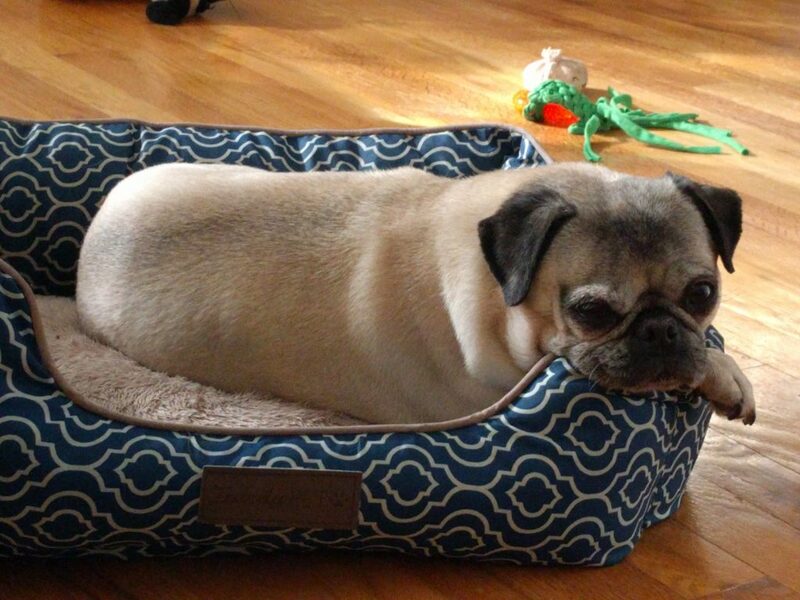 Nickie the Pug is enjoying a snoozy afternoon today. 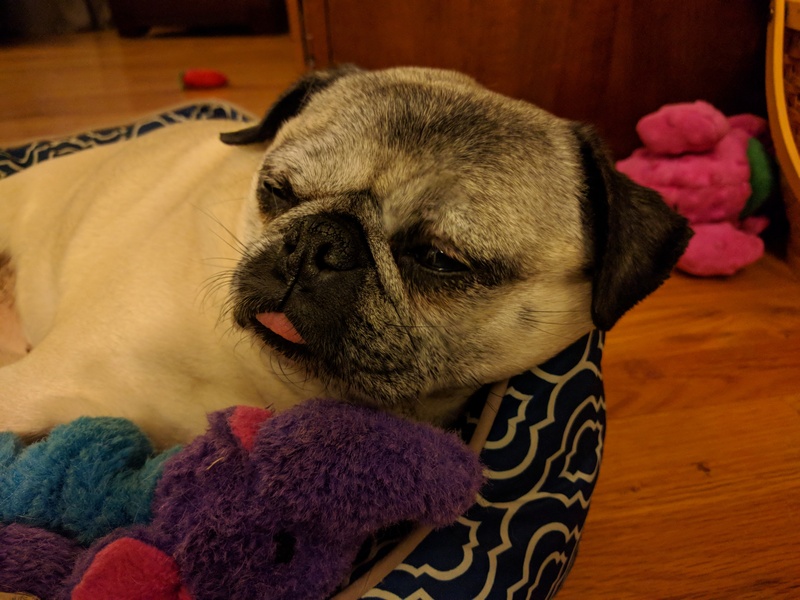 We have no way to know what she dreams about when she’s fast asleep in her bed, but we’re pretty sure she has visions of kibble and treats dancing through her head. It’s almost Pug Box time! 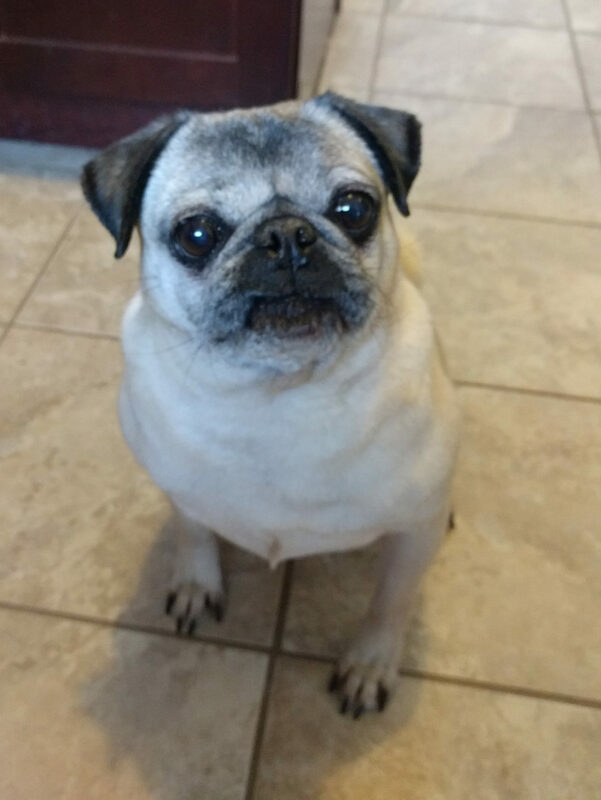 Nickie is getting excited to send out this month’s Pug Boxes! There are still a few days left to sign up if you and your pug want to join in on the fun! 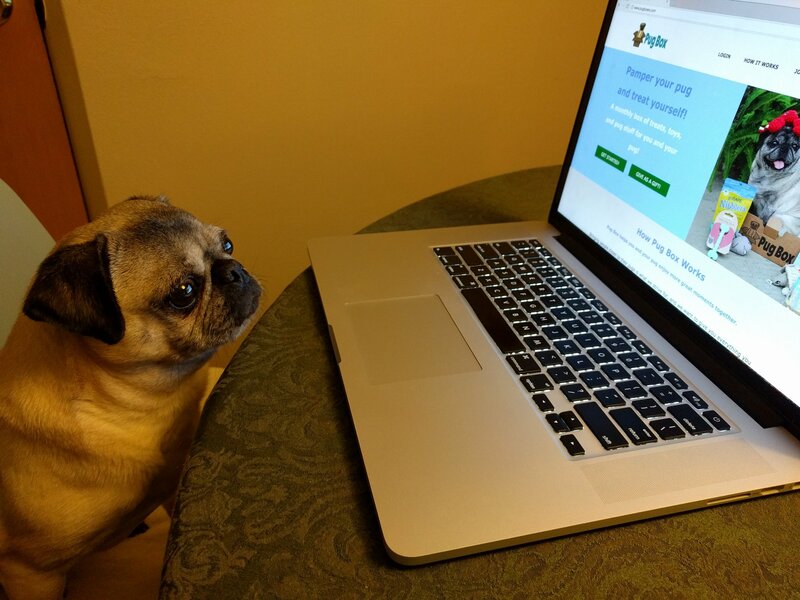 Visit www.pugboxes.com to learn more! 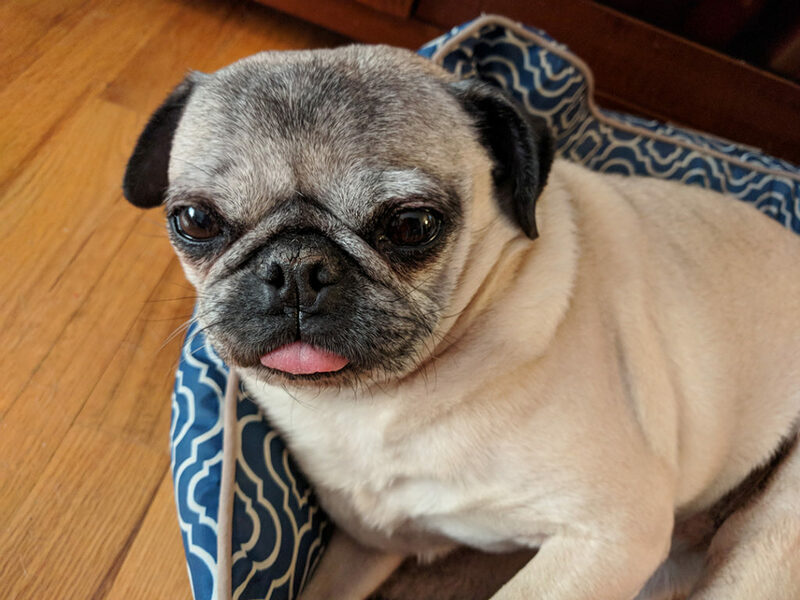 Pugs are rockstars at rocking the #TongueOutTuesday trend! 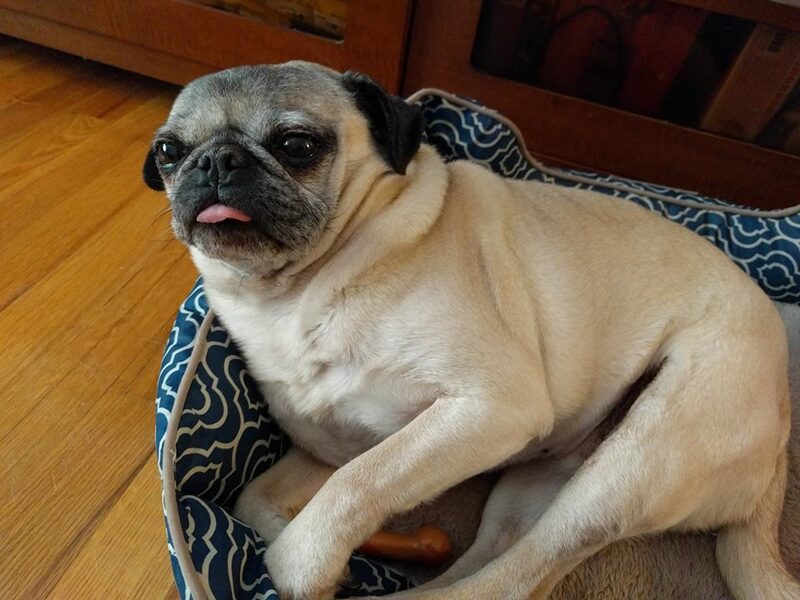 Nickie is joining in the fun this week as she lounges around the house with her tongue proudly out! You know the feeling. You’ve just woken up, but you already feel like you’ve been up for days! Nickie is definitely struggling to keep her little eyes open. Nap time might have to come early today! Did I hear the treat bag crinkle?? 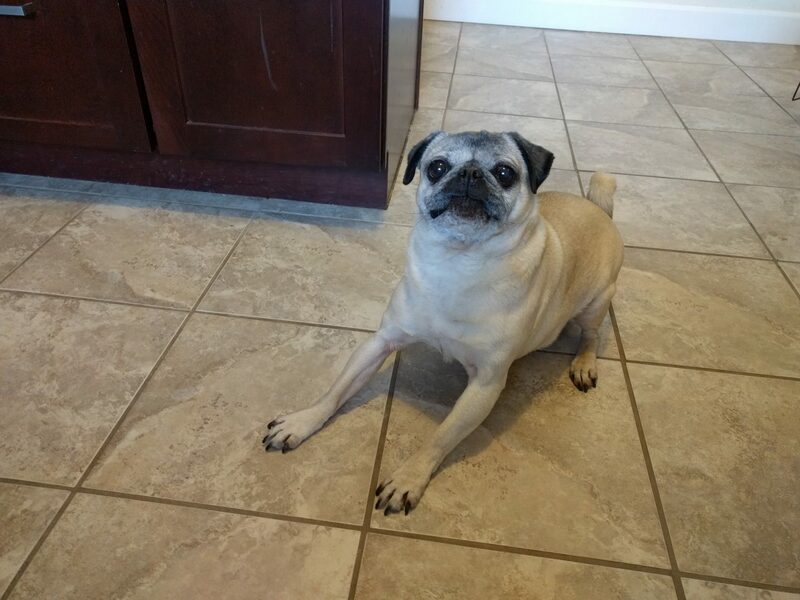 Pugs always respond to the siren call of the treat bag crinkling! This is definitely the fastest way for us to get Nickie’s attention. 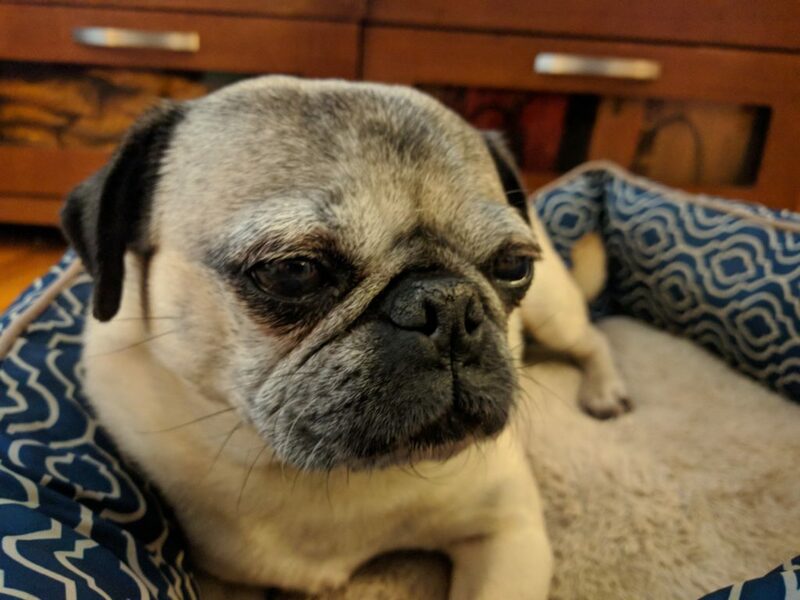 If your pug wants to explore new treats and toys, check out Pug Box at www.pugboxes.com! You can get a themed box of great toys, treats, and pug themed items delivered right to your door each month! 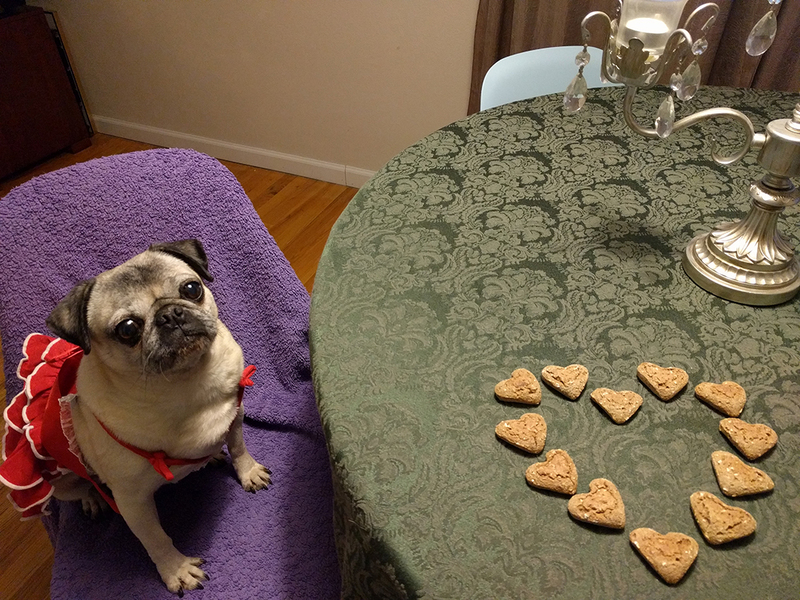 We want to wish everyone and every pug a very happy Valentine’s Day! 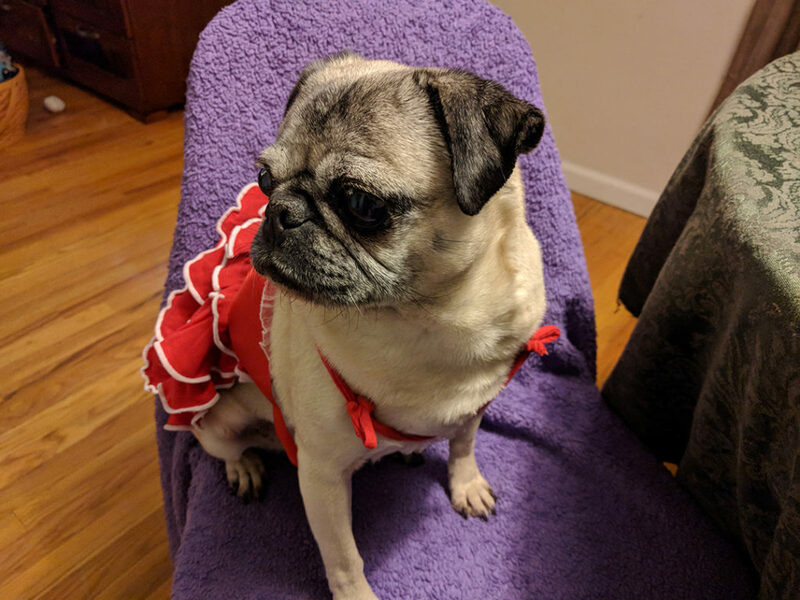 Nickie is dressed up in one of her favorite dresses, and she’s ready to dig into some sweet Valentine’s treats! Nickie is spending her Tuesday hanging out with her tongue out! Happy tongue-out Tuesday everyone! Hope you’re having a fantastic day!